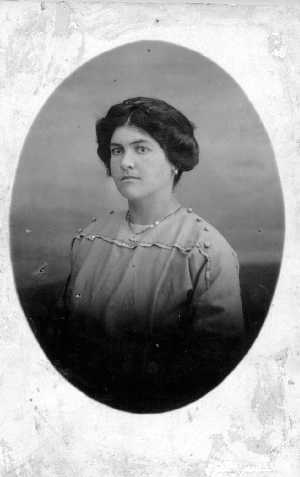 My grandmother's sister Elvira Carlini, married Luigi Iasella. Uncle Louie lived in Pittsburgh, PA with his son Carlo and daughter Gemma. He was my mother's uncle but he was Uncle Louie to all us kids. 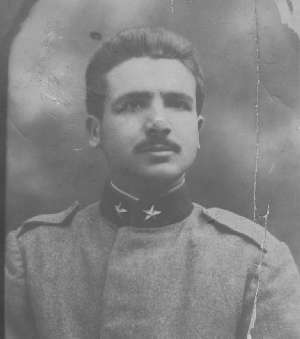 He and his family were also from San Pietro Avellana. Carlo Iasella told me that Iasella family was originally from Pietransieri. Pietransieri is a frazione of Roccaraso in the Province of L'Aquila in the Abruzzo region of Italy. 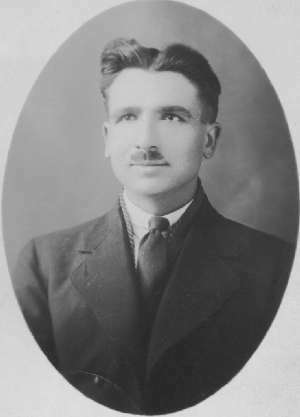 Luigi Iasella - may have been a passport photo. 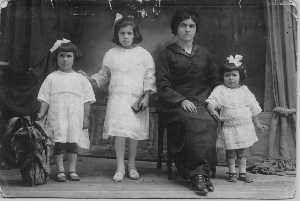 1929 Luigi Iasella, wife and daughters. Linda, Nelda and Elvira never came to the US. Elvira Iasella wife of Luigi Iasella. Never emigrated to the US. Although her husband did. She died in 1940. 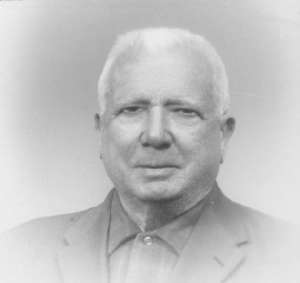 1930 Carlo Iasella in Italy. About 1 year old. No. 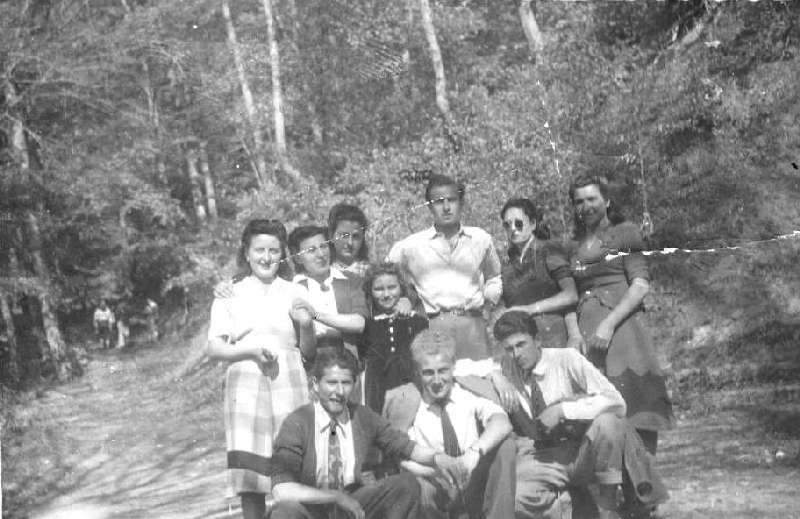 1 : Unknown year - a group photo from San Pietro Avellana given to me by my mother's cousin Carlo Iasella. Look at the index number from the index drawing (with help from Alfonso diSanza d'Alena and his mother, Laura diTella). Click here for index drawing. No. 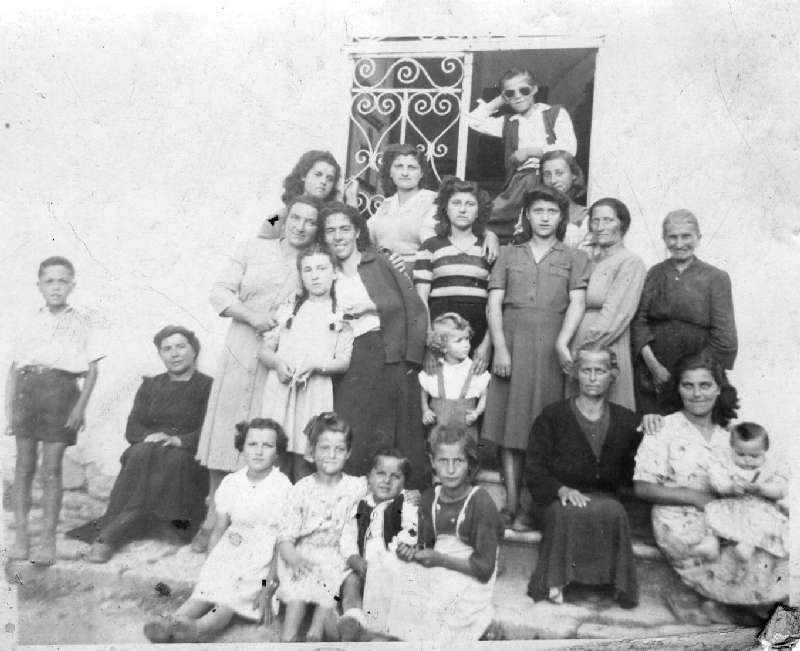 2 : Unknown year - a group photo from San Pietro Avellana given to me by my mother's cousin Carlo Iasella. Carlo identifed his sister, Linda. 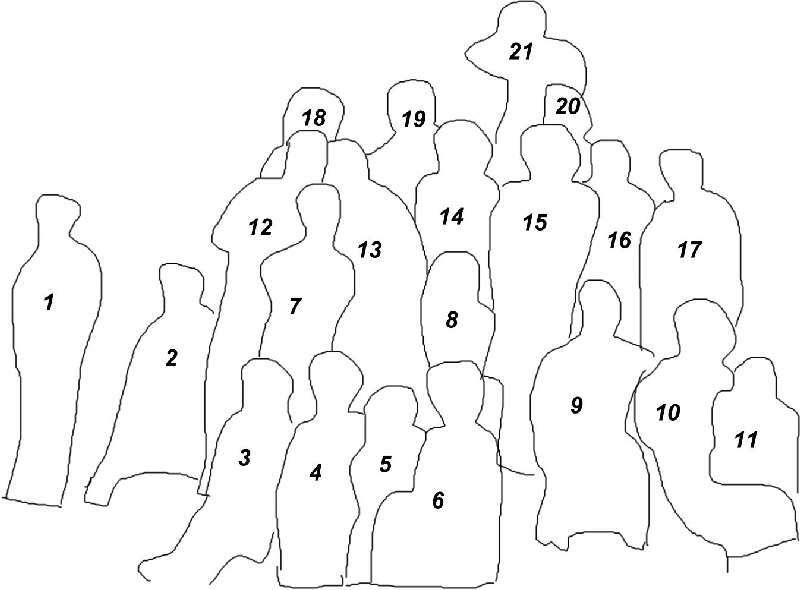 Look at the index numbers from the index drawing (with help from Alfonso diSanza d'Alena and his mother, Laura diTella). Click here for index drawing. No. 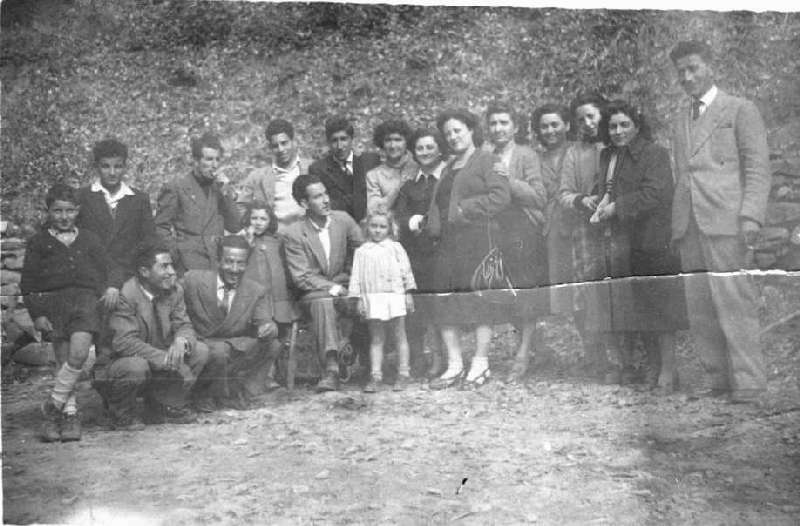 3 : Unknown year - a group photo from San Pietro Avellana (taken at the entrance to the Chapel of S.Amico) given to me by my mother's cousin Carlo Iasella. Carlo identifed his sister, Linda (#15 but this might be wrong, see the notes below), and her son, Bruno (#1). 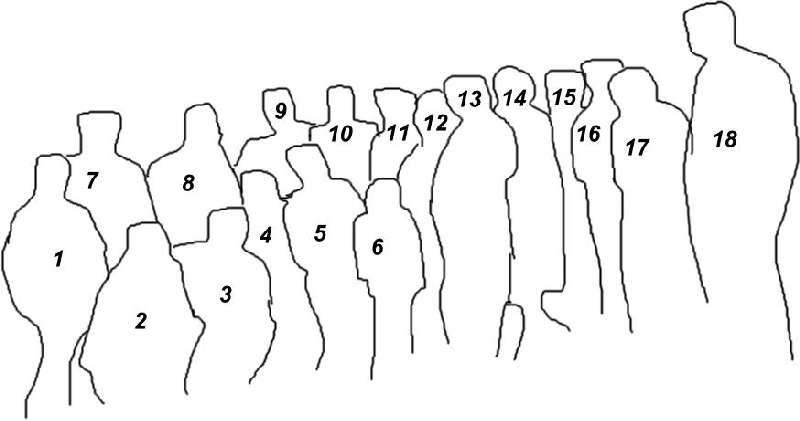 Look at the index numbers from the index drawing. Click here for index drawing. 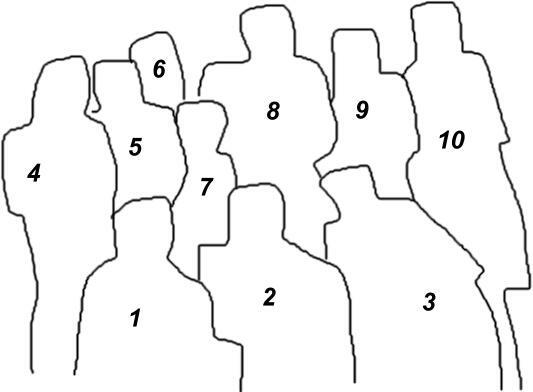 Numbers 4, 9, 10, 11, 14, 15, 16, 18, and 19 were identified by the mother of Gianfranco Serioli (email Jan 2009). His mother's family name was Le Donne and she was born in SPA. 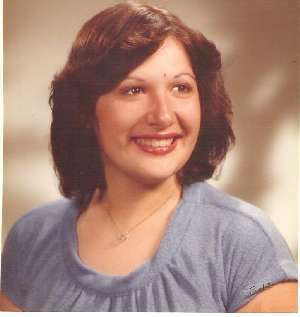 He wrote "Both my mother and my aunt are pretty sure that n.15 is Ada Troilo and not Linda Iasella, as you wrote. My mother said that she reconizes almost the all people in the photo, but she can't remember their name. She said that in San Pietro a woman of 94 is still alive and she has a very good memory, she will surely be able to recognize all the people you have in every photo. Well, my mother was born in San Pietro in 1942 and her surname is "Le Donne". I also have some relatives in U.S: they arrived there in the first 70s." Jun 2014 email from Antonella Bayhnam: "My Mother is from San Pietro Avellana. 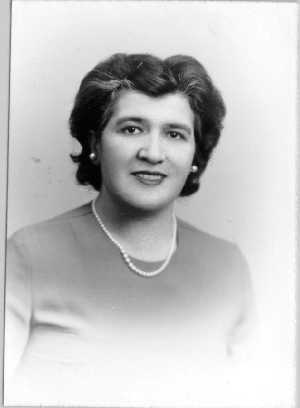 I have just been looking at fotos on your site and found a foto of my Mother Ada Troilo. She is no. 15 on the foto. She died when I was a child. 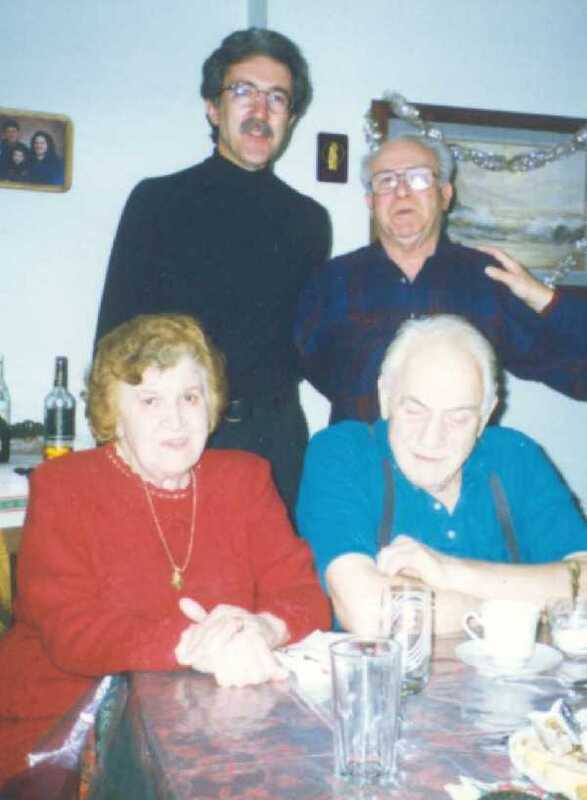 My Grandparents are Nicholeta and Antonio Troilo. I am seeing my aunt Pasqualina Trolio (#14) next week. 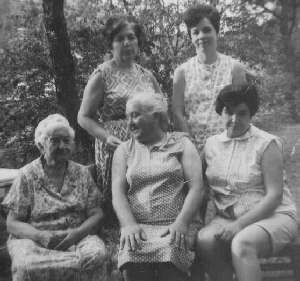 She is in the photo to with my grandmother (Nicoletta #16), and aunt, Victoria Trolio (#19)." 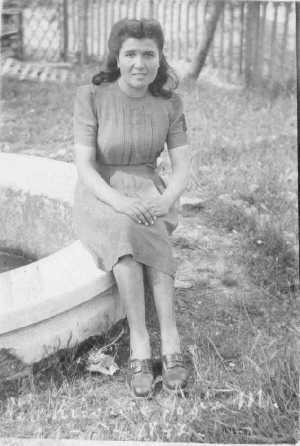 1942 Linda Iasella, taken in Italy. Linda married Claudio Colaianni. 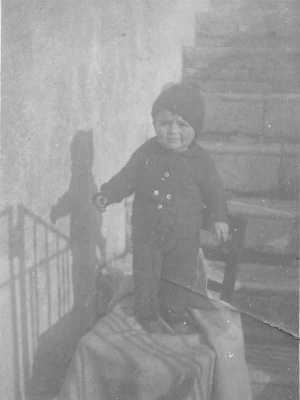 They had one daughter, Donatella, who still lives in San Pietro Avellana. Linda died in 2014. 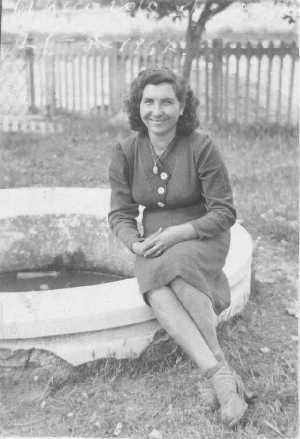 1942 Gemma Iasella, taken in Italy. Carlo Iasella in Italy. 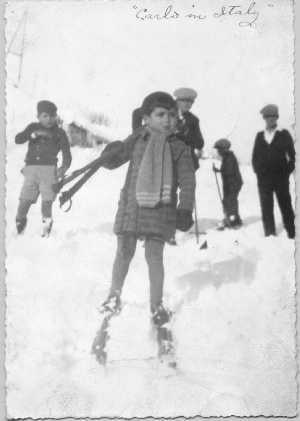 Probably taken in the late 1930's. 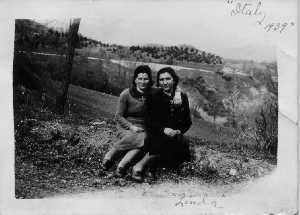 1947 - Betty Frazzini and Luigi Iasella. Since my mother's father, Emiliano Frazzini, had died several years earlier, Uncle Louie gave away her hand at her wedding. Unknown date. 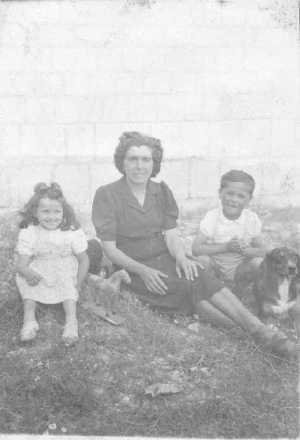 Nelda Iasella, daugher Teresa and son Bruno. Taken in Italy. 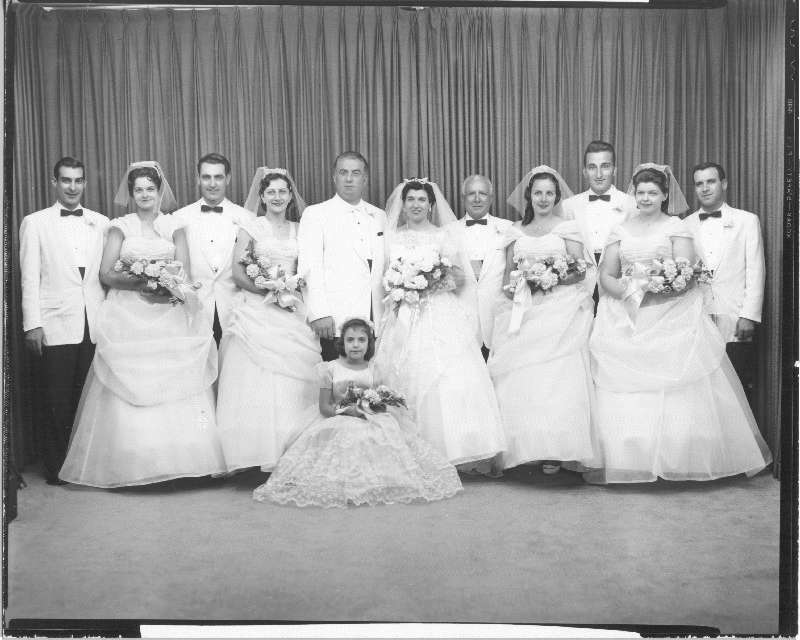 Nelda married Antonio Labate. About 1970. Nelda Iasella was in the US for a visit. To right of Gemma is her father Luigi Iasella. At far right, Norma Jean Buzzelli and Carlo Iasella. Second man from the right must be Lido Ramacciotti, Sergio's brother. At the far left, Nat Mastro and Rosemarie "Sis" Buzzelli. 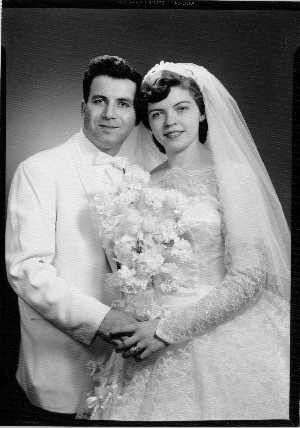 Flower girl is my sister, Diane DiVecchio. Can anyone help with more identifications? Gemma and Sergio had one daughter, Marisa. Carlo Iasella is an inventor of sorts. Always tinkering around in the garage. He invented a Ultra low power valve for the control of gas flow which he patented. This is Uncle Louie as I remember him. This might have been taken around 1970. Gemma died in 1997 and Sergio died in 1998. 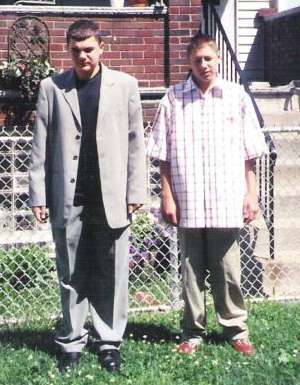 Matt and Jim Stawski, Marisa Stawski's sons. 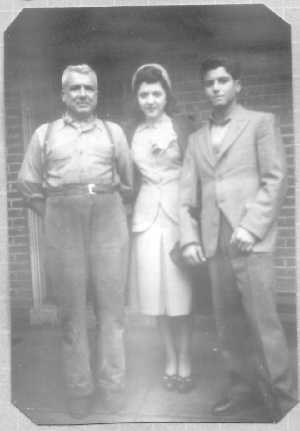 Three Iasella sons of Michelangelo Vincenzo Iasella and Claudia Giuseppa Musilli also immigrated to the US. The three sons, Vincenzo, Giuseppe and Antonio lived in Ogden, UT and other cities in the western US. A daughter, Flora, may have lived in Dawson, NM. 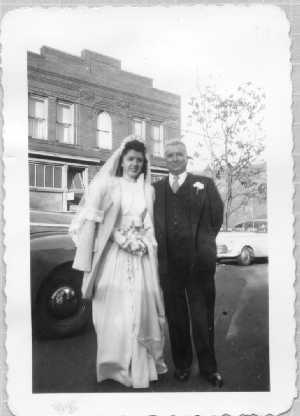 Another daughter, Concetta, lived in Trinidad, CO. These Iasella are not directly related to me. Vincenzo, known as James, lived in Ogden and Bingham Canyon. He married Rosaria Vacciano. He died in 1962. Giuseppe, known as Joe, lived in Ogden and Bingham Canyon. He married Lucia diSanza. He died in Midvale, UT in 1968. Antonio lived in Bingham Canyon. I don't have any info on his wife or if he stayed in the US or return to Italy. Flora, who married Pasquale Colaizzi, is shown on a Ellis Island manifest 26 Oct 1910. The line was crossed out so I can't say for sure they ever came to the US. Concetta married Pasquale della Croce. He was known to live in Trinidad. I don't have any direct information that Concetta ever came to the US. I don't know much more about the family. You can find a few more details in my family tree. If you can help out with more info or photos, I'd like to hear from you. 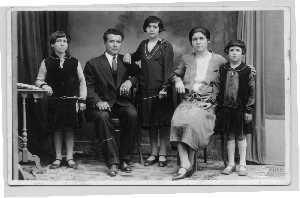 The Buzzelli family (family of Carlo's wife Norma Jean Buzzelli) is originally from Castel di Sangro. Tony Buzzela is researching the Buzzelli family. Here is his family tree.